The Boy Who Loved by Durjoy Datta is the first book from the two-part romance series about an introvert guy, Raghu and fascinating girl, Brahmi. This book, The Boy Who Loved, makes a reader realize that among everything in life, no one can ‘plan to fall in love’. 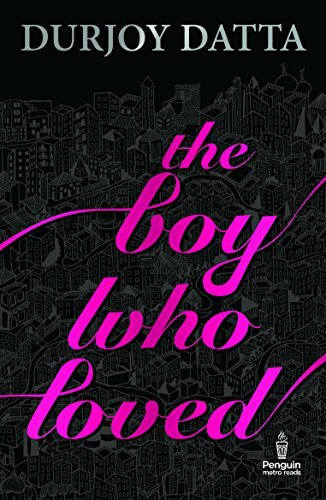 Durjoy Datta’s latest novel, The Boy Who Loved, is set to release in May 2017. The protagonist of the book, The Boy Who Loved, is Raghu – an introvert boy belonging to a normal middle-class family. No matter how hard Raghu pretend to be normal, his past guilt of seeing his dearest friend drown in a pool is never out of his mind. As the story of The Boy Who Loved proceeds, Raghu has made his true-self hidden from the outside world until the arrival of Brahmi in his life. Brahmi is so much like him but yet very different and that attracts Raghu towards him against his will. In spite of trying hard, Raghu begins to care about here. The plot of the novel, The Boy Who Loved by Durjoy Datta, takes a turn when Raghu is dragged into the depths of his fears. And his love for Brahmi is the only hope that can bring him back. Will the power of love do miracle for Raghu? – that is what Durjoy Datta’s latest novel, The Boy Who Loved, is all about. Written with an ascending writing style, Durjoy takes The Boy Who Loved from being warm and soft to dark, edgy and somewhat dangerous. This is a pre-release review of The Boy Who Loved by Durjoy Datta that will be updated after the release. The release date of Durjoy Datta’s latest novel is 25 May 2017. Durjoy Datta is one the best-selling authors in India and resides in the hearts of a lot of teen readers, especially females. His command over Love stories is incomparable. He has more than half a dozen novels and a number of TV shows under his credit. Talking of love stories, Durjoy got married to his girlfriend Avantika in 2016. Having his roots in Gujrat, Durjoy is born and brought up in Delhi. He graduated in Mechanical Engineering from Delhi Technological University and His first novel ‘Of Course, I Love You’ was released during his college days. Since then he never looked back. He is also the co-founder of the publishing house, Grapevine India.